Brian Aucter started with Sunrise in May 2011. Brian received his Doctorate of Physical Therapy at Boston University in 2010 following graduation from St. Lawrence University with a B.S. in Neuroscience. Brian worked as an Outpatient Therapist at Lahey Clinic in Burlington, MA before joining Team Sunrise. Brian enjoys being active with his wife, two kids, and his crazy dog Melo! Pam Sills has been the proud owner of Sunrise Physical Therapy since opening in 2002. Pam received her advanced master's degree from University of Vermont in Physical Therapy in 2002 and has been a practicing physical therapist since graduating from UVM in 1989. Pam enjoys working with athletes; young and old, but has a special place in her heart for the seniors!! She feels everyone can improve upon their strength and fitness and maintains her fitness by participating in triathlons. Katherine Sisson joined Sunrise physical Therapy in August 2015. Katie received her Doctorate of Physical Therapy from University of Vermont in 2013 following her undergraduate degree in Nutrition and Food Science from the same university. Katie brings energy and athleticism to our clinic. She played Division One Softball during her years at UVM, having gained her knowledge in her sport from her high school days at Mount Mansfield. She also enjoys running, skiing, and hiking. She resides in Underhill. Emily Slayton joined Sunrise in August 2018. Emily received her Doctorate of Physical Therapy from the University of Vermont on 2018. 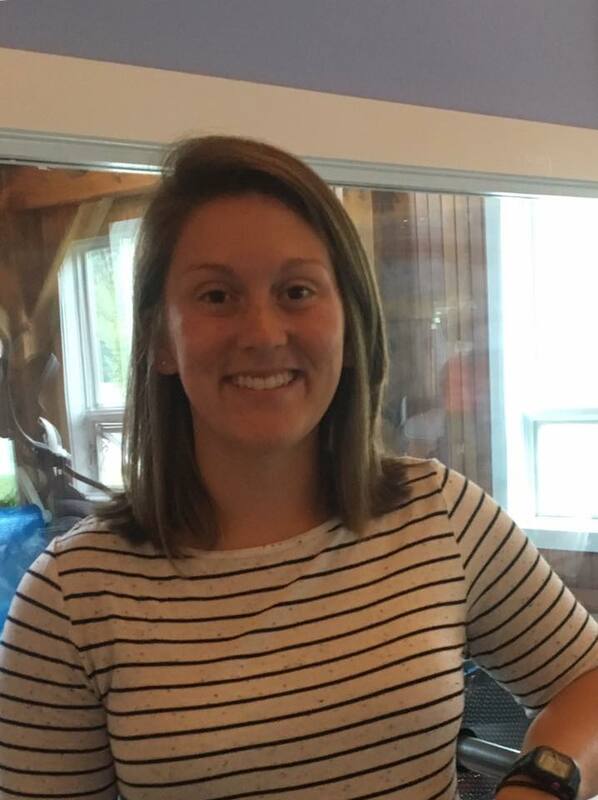 Emily attended Lyndon State College for undergrad where she received a degree in Exercise Science. Emily became a Certified Strength and Conditioning Specialist in 2015. Emily enjoys hiking, biking, kayaking, and spending time with her family and dog Piper. She resides in Jeffersonville.